2K polyurethane adhesive and repair material with a 50 second work time. Adheres to a variety of substrates inc. flexible plastics, polyurethane foams and rubber. 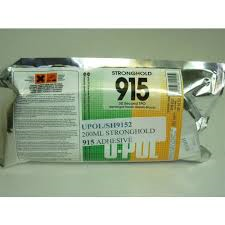 Ideal for rapid repair and bonding of TPO (Thermoplastic Olefins).